Jarrow Formulas Green Defense provides an array of nature's best ingredients without refined sugars, artificial flavors or preservatives. who can benefit from Green Defense? Green Defense is ideal for those who seek the benefits of green vegetables and nature's best phytonutrients in a great tasting formula. It is also helpful for those trying to boost their dietary intake of vegetables to meet their RDAs. • Metabolin probiotic metabolites (a rich source of organic acids, polysaccharides and putrefactive bacteria-inhibiting bacteriocins) to help balance the intestinal microflora and reduce the accumulation of toxins produced by putrefactive bacteria. Peptidoglycans (from cell walls of friendly bacteria, Propionibacterium shermani ssp.) 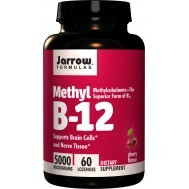 to support immune function. • Fibers from apple fiber, rice bran and FOS (FructoOligoSaccharides) to promote the growth of good bacteria and enhance detoxification. Green Defense is a easy way to get the best of nature in one scoop - high ORAC profile. 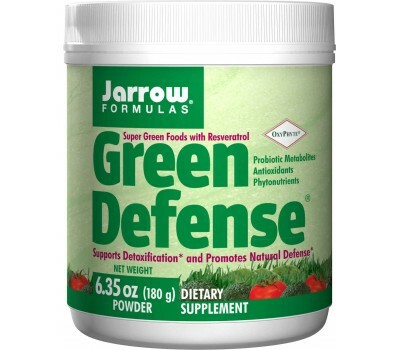 Jarrow Formulas new and improved Green Defense provides an assortment of nature’s best ingredients in a pleasant and ready-to-mix drink powder. Scientific studies confirm that phytonutrients such as chlorophyll, polyphenols, carotenoids and botanical antioxidants help protect the body from free radical damage. 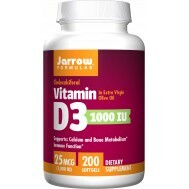 Green Defense now features sulforaphane, resveratrol and one of nature’s strongest antioxidants quercetin to help support the body’s self-defense mechanisms, detoxify and nourish the body, and assist in the achievement of total well-being. In recent years, scientific evidence has accumulated indicating that the beneficial action of vegetables is due, at least in part, to the induction of phase II detoxification enzymes. These enzymes detoxify many harmful substances by converting them to hydrophilic metabolites that can be excreted readily from the body. They also afford protection against certain carcinogens and other toxic substances, including reactive oxygen species. Green Defense includes sulforaphane, the major isothiocyanate that accumulates in broccoli florets and a potent inducer of phase II detoxification enzymes such as glutathione S-transferase. The tomato-derived carotenoids have been shown to support proper cell replication regulation by activating detoxifying enzymes through the activation of what is known as the antioxidant response element (ARE) transcription system. Plant antioxidants are among the most powerful and effective known for human health. Green Defense contains resveratrol, the ingredient in red wine that continues to make healthy headlines. Resveratrol has also been studied for its ability to activate phase II detoxifi cation enzymes and to maintain healthy cell replication. Green Defense also contains one of nature’s strongest antioxidants, quercetin. Quercetin is a member of a group of polyphenolic compounds known as flavonoids. Flavonoids, including quercetin, occur naturally in fruits, vegetables, nuts, seeds, flowers and bark. 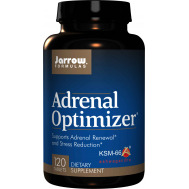 Scientific evidence has shown quercetin to scavenge superoxide anion, singlet oxygen and lipid peroxy radicals as well as to inhibit copper-catalyzed oxidation and cytotoxicity of LDL cholesterol. Each serving of Green Defense supplies significant amounts of organically grown spirulina, wheat grass juice, and barley grass juice. Spirulina has been used as a food by Central American and African tribes for centuries. 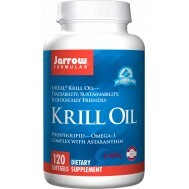 It is sold around the world as a natural food supplement rich in protein, vitamins, and minerals. 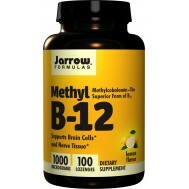 It is also believed to offer immune support. Algae and cereal grass juices are rich sources of chlorophyll. Chlorophyll is the green pigment in plants that is also a highly effective antioxidant. It is often touted to control purification and unwanted odors and is used as an aid to healing in the body. Traditional herbalism classifies chlorophyll as a blood purifier. Deep green foods are said to have “alkalizing” and “detoxifying” effects upon the body. A European cohort study completed in 2006 found chlorophyll may support colon health by protecting against the adverse effects of red meat consumption. Heme is the pro-oxidant, iron-containing porphyrin pigment of meat. Chlorophyll is believed to block the reactivity of heme in the gastrointestinal tract and thus prevent the formation of cytotoxic heme metabolites. An important element in detoxifi cation programs, which goes beyond supporting the actions of the liver, is supporting elimination by the intestinal tract. Toxins are usually removed from the system by being bound up in the bile or by being conjugated in the liver and then eliminated by excretion. However, if the wrong mix of bacteria inhabits the gut; these toxins can be released by deconjugation and then reabsorbed. An effective way to reduce the accumulation of toxins in the intestines is to make use of nature’s own control mechanisms. Inulin-fructo-oligosaccharides (FOS) and a variety of fibers and plant nutrients are included in Green Defense to directly support the health of probiotic bacteria. Metabolin is a specialty supplement consisting of the metabolites (lactic and propionic acids) and cell walls of bacteria. Metabolin helps to balance the intestinal microflora and to support immune function while reducing the accumulation of toxins produced by putrefactive bacteria. Note: Packaged with desiccant. Do NOT eat or swallow the desiccant.